We’ve all heard not to judge a book by its cover and, while that’s great for people and pets, it doesn’t necessarily apply to choosing a wedding dress or even a dozen eggs. I’m pretty sure that the outside of a greenish-black egg will give you impressions of what is inside. The same goes for driving views to your website. A flat, text-heavy page is about as inviting as a toaster instruction manual. Despite how much you know, people will resist reading it without a visual break, so why not try to make your content more visually pleasing with an infographic. Many websites find success through subscriptions to generic photo sites like iStockPhoto, ShutterStock, or Getty Images. While those services cost money and are populated by professional photographers, you can also find free pictures through Creative Commons where thousands of people are willing to let you use their images with simple attribution (be sure you read the individual user permissions for a photo). However, if you really want to add some splash and pizzazz to your site, consider using an infographic. As long as the information you want to share has an audience, you can attract more views by putting it into a catchy or colorful graphic. Again, this method ranges in price. You can find eager graphic design students who would love to turn your bullet points into a clever visual for $200. You get something nice and they get a piece to add to their portfolio. Power companies like Visually also provide flat rates for graphics starting at just under $2,000. Regardless of the cost, using the Visually site can help you to get some ideas of what is interesting in your particular field. Say you write a family blog and you are going to post something about healthy snacks. 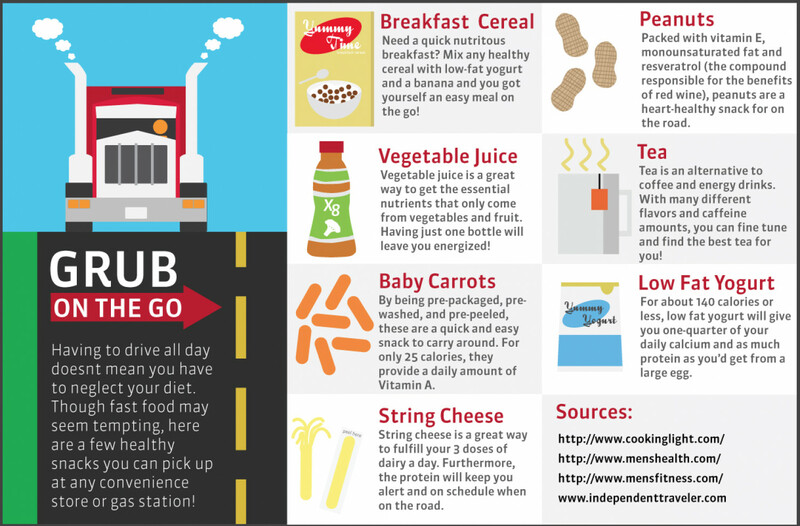 This Grub on the Go graphic shows you how simple it is to make information visually attractive. Remember the idea of an infographic is to convey information. The best infographics make it easier to explain information in a visual way. Typically they seem to work well with data-heavy topics that may be a little ‘dry’ if presented in text alone. So, if you’re looking to spice up your content, why not try an infographic. Making things visual will help keep your readers interested and keep your creative juices flowing.